What was once initially envisioned and designed by WSU students more than a decade ago is close to reality today as Washington Governor Jay Inslee has approved a transportation package that includes funding for the University District Gateway Bridge. Other funding had previously been secured, but the $8.8 million included in the state’s transportation package means this project can move forward. Construction could start later this year or early next year, with completion expected by 2019 (stay tuned on exact timeline). This is not solely a WSU project; the City of Spokane, University District, the Downtown Spokane Partnership and Greater Spokane Incorporated have been big players in this project. The bridge will, though, greatly impact our campus. One end of the bridge will touch down on our land and allow for bike and pedestrian access to and from our health sciences campus. 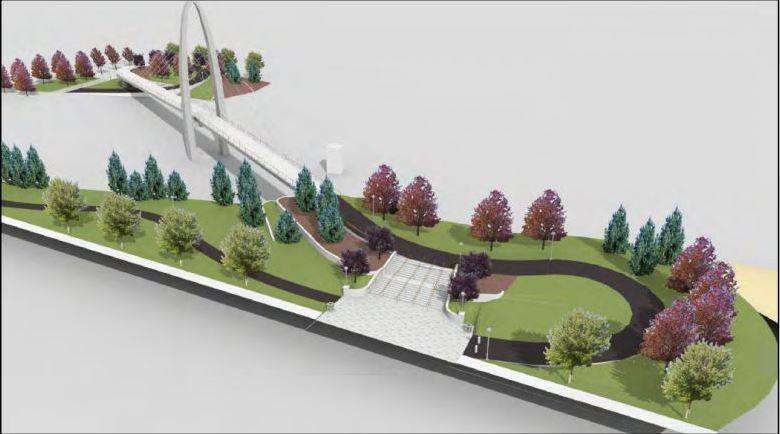 The bridge will connect to the Sprague Avenue neighborhood on the south side of the railroad, which opens that area up to future development. There are also a number of health-related businesses and organizations on that side of the railroad within a quick bike ride from campus. 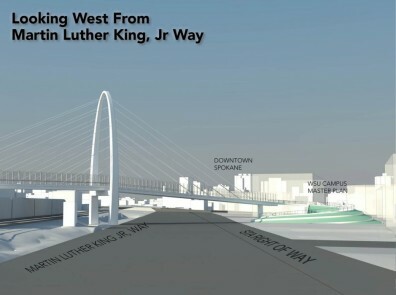 Our students will have easier access to the health care industry in Spokane with this bridge. So what kind of development could take place south of the railroad? 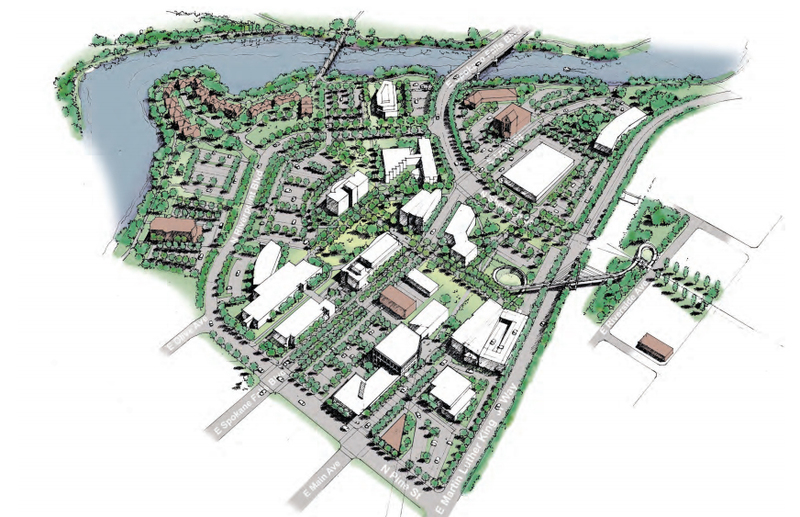 Right now, it could be anything – mixed use, housing, commercial, etc. That will all be worked out in the coming years. For now, we are glad the state legislature agreed to a transportation package that included this project.